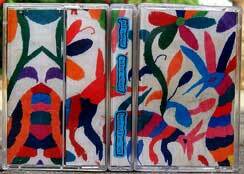 There are hundreds of cassettes all over our house, and they are so beautiful. Tape art needs some love/recognition. So much better than the "band name in a cool font&photo of the artist" typicalness. Evan Galbicka drew this one- check out The Church of Holy Colors for more art. 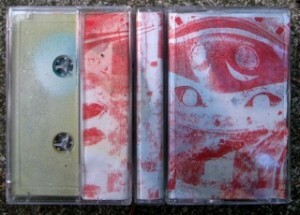 Tuluum Shimmering- "Flowers are offered" from Rotifer. 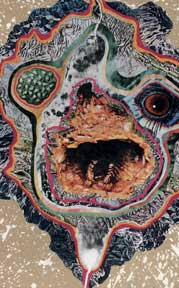 Thurston Moore and Byron Coley included this one in their "Tongue top ten" on arthur magazine. 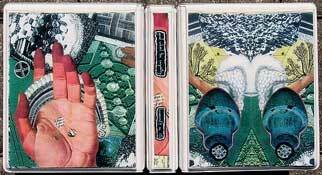 Be sure to check out the brand new killer batch of Rotifer tapes ! (David's label) you can listen to samples there.